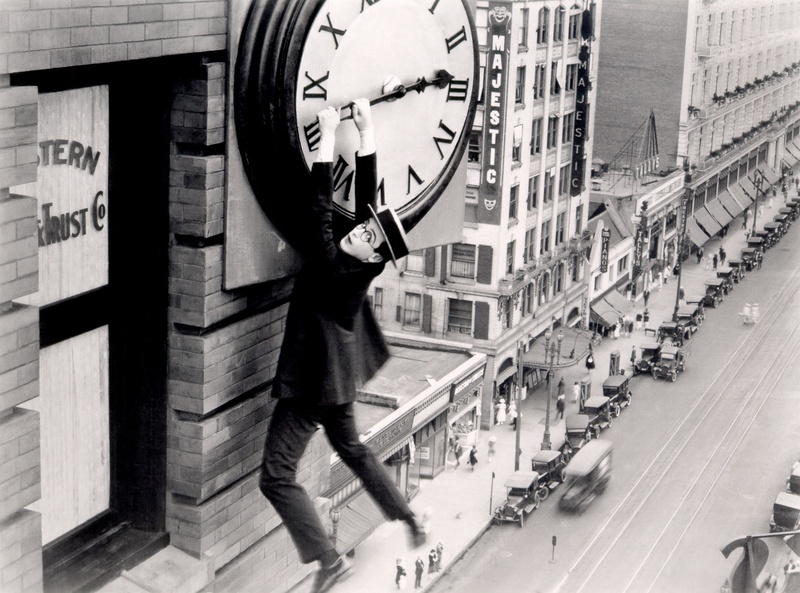 In Harold Lloyd's thrill comedy 'Safety Last' (1923), the story follows our hero from small town to big city as he pursues success and fulfillment. This weekend, I'll follow a similar path. 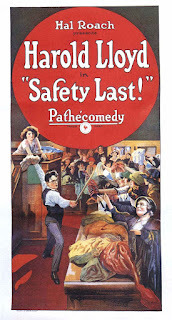 On Friday, March 29, I'll accompany a silent film (in this case, 'Safety Last') in the town hall of Winchester, N.H. The screening is at 7 p.m. and sponsored by the Arlington Grange No. 139, and you don't get much more small town than that. Then, on Sunday, March 31, it's down to the big city (in this case Boston, or actually Somerville, Mass.) for a screening at the Aeronaut Brewing Co. The film is 'The Mystery of the Eiffel Tower' (1927), which we're showing in honor of the 130th birthday of the iconic Parisian landmark. And in the spirit of Harold Lloyd's high altitude stunting, the film climaxes with a chase among the tower's upper beams and girders. Thus my journey from small town to big city, all in service of silent cinema. Will I find film scoring success in my own journey this weekend? Come and find out. Below is a press release about Friday night's screening of 'Safety Last' in Winchester. Hope to see you there. And I'll be back with info about 'The Mystery of the Eiffel Tower' in a soon-to-follow post. 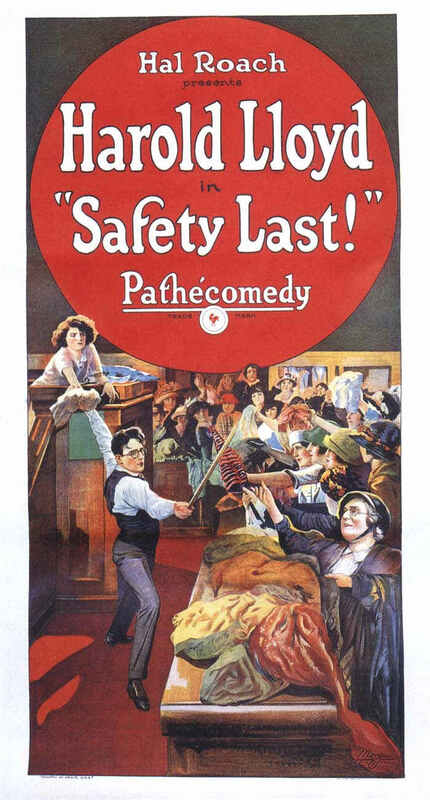 Silent film classic 'Safety Last' on Friday, March 29 in Winchester, N.H.
WINCHESTER, N.H.—It's an image that's so powerful, people who've never seen the movie it came from still instantly recognize it. The vision of Harold Lloyd hanging from the hands of a clock high above downtown Los Angeles, from the climax of his silent comedy 'Safety Last,' (1923), has emerged as a symbol of the "anything goes" spirit of early Hollywood and the magic of the movies. See how Harold gets into his high-altitude predicament in a screening of 'Safety Last,' one of Lloyd's most popular films, on Friday, March 29 at 7 p.m. at Winchester Town Hall, 1 Richmond Road, Winchester, N.H. The program, sponsored by Arlington Grange #139 of Winchester, will be accompanied live by silent film musician Jeff Rapsis. The show is open to the public, with $7 per person donation requested to help defray costs. The program aims to recreate the experience of movie-going when motion pictures were a brand new art form. "Put the whole experience back together, and you can see why people first fell in love with the movies," said Rapsis, one of the nation's leading silent film accompanists. Rapsis performs on a digital synthesizer that reproduces the texture of the full orchestra, creating a traditional "movie score" sound. The story of 'Safety Last' follows young go-getter Lloyd to the big city, where he hopes to make his mark in business and send for his smalltown sweetheart. His career at a downtown department store stalls, however, until he gets a chance to pitch a surefire publicity idea—hire a human fly to climb the building's exterior. However, when the human fly has a last-minute run-in with the law, Harold is forced to make the climb himself, floor by floor, with his sweetheart looking on. The result is an extended sequence blending comedy and terror designed to hold viewers spellbound. "Seeing 'Safety Last' with an audience is one of the great thrill rides of the cinema of any era, silent or sound," Rapsis said. "Harold's iconic building climb, filmed without trick photography, continues to provoke audience responses nearly 100 years after film was first released." Lloyd, along with Charlie Chaplin and Buster Keaton, is regarded as one of the silent screen's three great clowns. Lloyd's character, a young go-getter ready to struggle to win the day, proved hugely popular in the 1920s. While Chaplin and Keaton were always favored by the critics, Lloyd's films reigned as the top-grossing comedies throughout the period. However, Lloyd's public image faded after his retirement in the 1930s, as Lloyd turned his energies to charitable causes such as the Shriners. He retained control over his films, refusing to release them for television and only rarely allowing them to be screened at revivals, fearing modern audiences wouldn't know how to respond to his work or to silent films in general. Lloyd died in 1971. In recent years, Lloyd's family has taken steps to restore Harold's reputation and public image. They've released his work on DVD, and arranged for more frequent screenings of his films in the environment for which they were made: in theaters with live music and a large audience. Despite Lloyd's fears, audiences continue to respond just as strongly to his work as when the films were new, with features such as 'Safety Last' embraced as timeless achievements from the golden era of silent film comedy. "Harold Lloyd manages to make the characters sympathetic enough to carry the audience's concern on his journey of crazy stunts and mishaps. One of the best of this era." "The climb has both comic and dramatic weight because it is both a thrilling exercise in physical humor and a thematically rich evocation of the pressures men feel to succeed, lest they be viewed as less than a man." 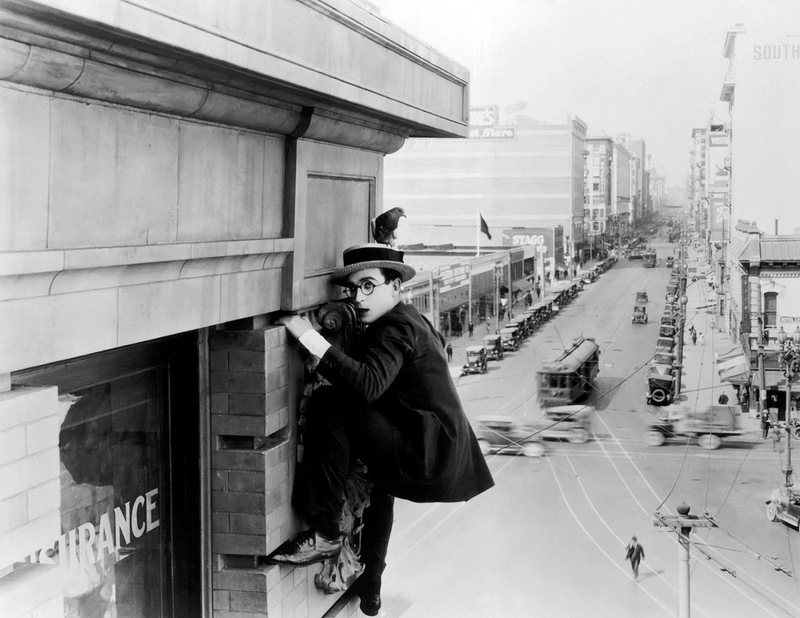 See Harold Lloyd's iconic thrill comedy 'Safety Last' (1923), to be shown on Friday, March 29 at 7 p.m. at the Winchester Town Hall, 1 Richmond Road, Winchester, N.H. Sponsored by Arlington Grange #139, the program is open to the public; a donation of $7 per person is requested to defray expenses.